Volvo will only offer electrified powertrains in models that it launches starting in 2019, a move that signals its intention to phase out the internal combustion engine from its lineup, the automaker said Wednesday. 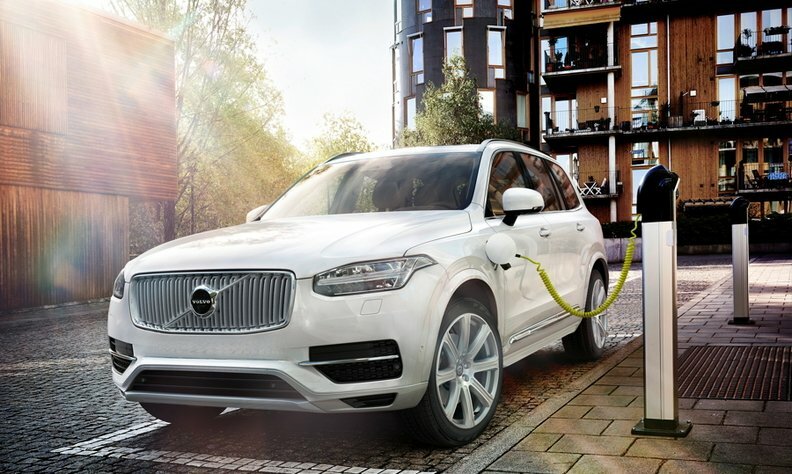 In 2014, Volvo said that all its future models would be offered with a plug-in hybrid alternative that would be sold alongside versions with traditional gasoline and diesel engines. "Our ambition is to be the leader in the transformation into electrified models," Samuelsson told Automotive News Europe in an interview Wednesday. "With this move we are strengthening our brand, making it stand out from our competitors." Volvo r&d boss Henrik Green said during a press conference Wednesday that it would take until between 2023 to 2025 for the automaker to phase out all models that are only powered by a combustion engine. Volvo added that its full-electric lineup will grow from nothing now to five cars that will arrive between 2019 and 2021. Three of those cars will be Volvos and two will come from the automaker’s Polestar unit, which is being transformed into a global stand-alone brand for high-performance electrified models. Since being bought by Zhejiang Geely Holding Group from Ford Motor in 2010, Volvo has invested billions in new models, plants and powertrains to become an strong alternative to Germany's dominant premium players. Volvo beat its bigger German premium rivals to market in Europe with plug-in hybrids, starting in 2012 with the launch of the V60 variant. Since then it has added plug-in hybrid versions of its XC90, S90, V90 and XC60. It has also promised that the forthcoming XC40 compact SUV will include a plug-in hybrid powertrain option. In the future, all models underpinned by Volvo’s scalable product architecture (SPA) and its compact modular architecture (CMA) will be able to accommodate a full-electric, plug-in hybrid or 48-volt mild hybrid powertrain. The electrified models will be made at Volvo's plants in Europe and China as well as its new U.S. factory, which will start producing vehicles next year. The costs to make the switch will be met from within Volvo's existing budget, Samuelsson told Reuters. "This also means we won't be doing other things. We of course will not be developing completely new generations of combustion engines," he told Reuters about future investment needs. Unlike Audi and Mercedes-Benz, Volvo has not said when its first model with a 48-volt mild hybrid system will arrive, although Samuelsson told ANE Wednesday that the technology would be mated to both gasoline and diesel engines. Analysts and suppliers predict that uptake of the technology will rise into the multimillions by 2020. The move is well underway in Europe. Renault is offering a version of its popular Scenic compact minivan with the affordable, fuel-saving system in Europe this year and Volkswagen Group plans to use 48-volt hybrid drivetrains in an upcoming Golf-sized model. The switch is taking place because costly after-treatment systems will be needed to make diesels comply with tougher emissions regulations. During the first quarter, more than 80 percent of the vehicles Volvo sold in Europe had a diesel powertrain, according to data from JATO Dynamics. In addition, a number of European cities are considering banning diesels from city centers. In Europe, diesels account for nearly half of all new-car sales, but that number has been declining.